I approached The Yips by Nicola Barker with a certain amount of caution. 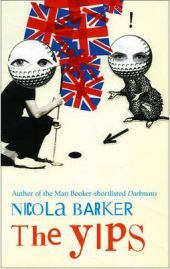 It is a large book (almost 550 pages) from an author with a reputation for experimental writing and from its title seemed to be set around the game of Golf, or to be more precise on a Golfer. When I finished it, I felt significantly more positive – it was an entertaining read which seemed shorter than its page length, always a good sign. 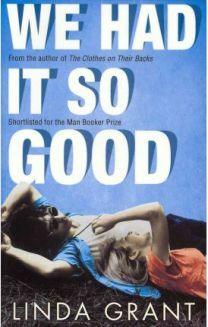 It has now been long listed for this year’s Booker prize and seems to be one of the favourites to progress onto the shortlist. Hopefully, this will help to draw it to the attention of a wider readership. The Yips refers to the disabling twitch which some golfers develop when attempting short putts, usually a sign of anxiety or psychological stress. Short stories have a strong place in Irish writing, and many Irish authors of literary fiction have turned their hand to the genre. Kevin Barry is a very fine addition to the list. 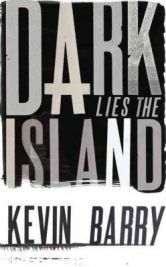 Dark Lies the Island is his second volume in this format and maintains a superb standard throughout, ranging from the touching, romantic and poignant through the humourous to the threatening. There are hints of an older more traditional Ireland, but the overall tone is very much one of an Ireland overtaken by new values, promulgated by a range of dystopian subcultures. 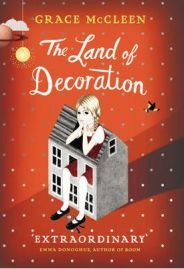 And even where rural Ireland is portrayed, it is a sinister, off-kilter rural Ireland rather than the bucolic ideal of the past. Ismail Kadare is Albania’s best know poet and novelist – indeed, the only Albanian novelist whose work I have read so far as I am aware, and the only Albanian novelist who I could name if called on to do so in an imaginary crisis where only the name of an Albanian novelist could save the day (the final question on “Who Wants to be a Millionaire”, perhaps). He is also generally held to be one of the great living writers, and was awarded the inaugral Man Booker International Prize in 2005. 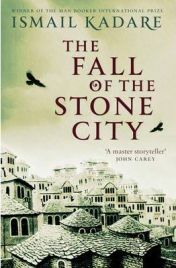 I remember enjoying the last novel of his which I read (The Siege) so I was initially attracted to The Fall of the Stone City by its title and the possibility that it might turn out to address similar territory. It turns out, however, to be a very different sort of book. Almost all readers have some vague knowledge of the Greek myths. At one time they would have been a core component of a rounded education, but that era for most people has now gone, and for many their awareness may come mainly from films or video games. 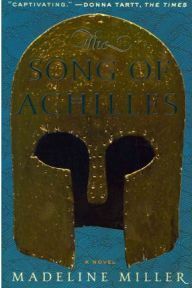 The Song of Achilles by Madeleine Miller is a novel which retells part of the Iliad, from the perspective of Patroclus, companion of Achilles. The Iliad, of course, is a complex story, and many readers are put off by the multitude of characters. Miller succeeds here by focusing on a narrow (but central) part of the story, and developing a limited number of characters who take central stage in a way that makes the events very approachable. The Greek Myths exist in many variants, and one of the challenges facing any author is what perspective to take and what variant to follow. 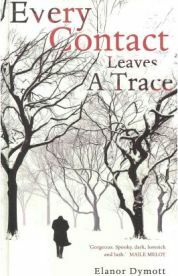 Every Contact Leaves a Trace is Elanor Dymott’s first novel, and is best described as a literary whodunit. The setting is the University of Oxford. The main characters are students or academic staff, or closely associated with the University and the story is narrated by Richard, now a lawyer in early middle age. At the start of the novel he meets, apparently by chance, Rachel, with whom he has been at University. We know very quickly that the two have a shared past, but the details of their previous relationship are only revealed slowly during the course of the book. Very rapidly, Richard and Rachel marry and settle down into what appears to be idyllic married life. 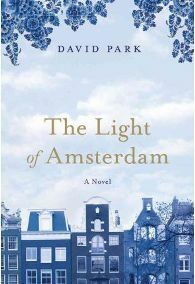 The Light of Amsterdam follows the interacting stories of three pairs of characters who travel for a weekend away. 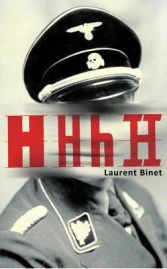 HHhH is Laurent Binet’s first novel and won two major literary prizes in France. It tells the story of the assassination of Reinhard Heydrich in Prague during the second world war, the events leading up to it and some of its aftermath. It is, therefore, a work of historical fiction, telling a story which I knew in outline, but in a way which made it seem fresh. Heydrich was the number two to Himmler in the Nazi hierarchy, a ruthless persecutor of the Jews and an effective administrator with a high level of ideological commitment. He was known as “The Hangman of Prague” and “The Blond Beast” and was the highest ranking Nazi to be killed until near the end of the Second World War. 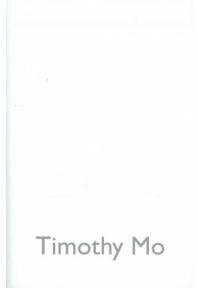 The title of the book comes from a German phrase of the time – Himmlers Hirn heist Heydrich (Himmler’s brain is called Heydrich) – highlighting Heydrich’s importance to the Germans. 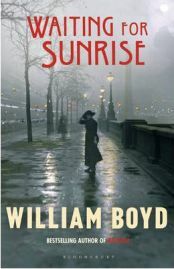 Waiting for Sunrise by William Boyd is a literary thriller, starting in pre-first World War Vienna and finishing in wartime London. In between it touches down in the battlefields of France and a more peaceful Geneva. The main protagonist is Lysander Rief, a young English actor beginning to make a name for himself on the stage, following in the footsteps of his more famous father. As the novel commences, Lysander has travelled to Geneva seeking psychotherapy for a sexual problem from one of Vienna’s leading psychotherapists. Lysander remains at the centre of events throughout the novel, becoming a wartime undercover agent on a mission to identify a traitor who is leaking important logistical information to the Germans. One woman; two men. Which will she chose? The core of many a Victorian Novel, and also the underlying premise of The Marriage Plot by Jeffrey Eugenides. 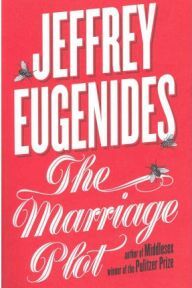 Eugenides is not a prolific author – the Marriage Plot is his first book for a decade, but his novels are generally worth waiting for and this is no exception. It is an intelligent and humorous book, with many unexpected twists and turns as Eugenides sets out to make a Victorian novel for our age. Madeleine is the central female character. We meet her as she prepares to graduate, uncertain as to what to do with her life. Some people believe that life consists of a series of problems with solutions, whereas others believe that there are simply situations which have their own internal life and momentum. This difference is an important one in We Had it So Good by Linda Grant. Stephen Newman is American, and an example of the first type of person, while his wife Andrea is English and an example of the second. Stephen and Andrea meet while at Oxford University, and embark on a marriage (in part of convenience) which is at the core of this book. Stephen and Andrea are very different – (“You fall for what you do not know, he figured out eventually. But you do fall: the loss of balance is the point.”) – and this allows Linda Grant to explore some very different perspectives during the course of the book.